EZ Spread Compost is a pelletized poultry compost designed to make adding organic matter to the soil easier than ever. 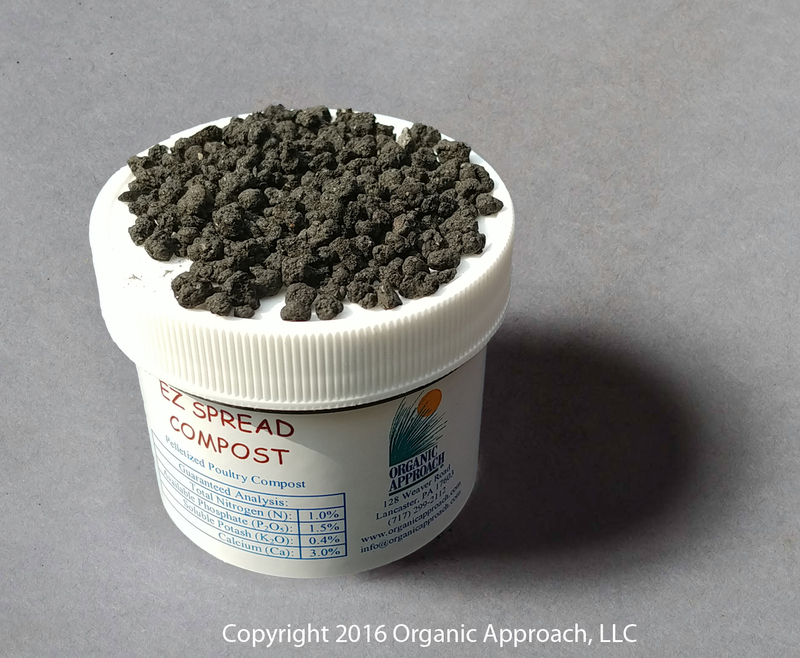 EZ Spread Compost is 100% natural and organic with no fillers or synthetic ingredients. The poultry compost is fully digested and contains no foul odors. It averages a 1-1.5-0.4 analysis and contains 3% calcium.